Drain Cleaning in Los Altos Ca | We Clear Drains, Sinks, Tubs, & Toilets Fast! Is your home or business suffering from a slow flowing, clogged, or completely backed up drains, sink, or tub? Is your toilet backing slow to flush or backing up into your sinks or tub? These are some of the most common signs of a serious clog in your homes plumbing pipes. Whether it’s the bathroom, kitchen sink or the toilet, we have the experience and expertise to handle any clogged drain cleaning in Los Altos Ca. Here at Chandlers Plumbing our skilled technicians have experience clearing all types of clogs in both residential and commercial applications. In fact, drain cleaning is one of our most performed services! Do you have a slow or a clogged drain at your Los Altos CA home or business? If so do not hestitate to give us a call to schedule your fast and affordable drain cleaning service today! Chandlers Plumbing & Drain Cleaning in Los Altos’ team of plumbing experts understand how disruptive a non-functional kitchen, bathtub, or toilet can be in anyone’s life. It is for this reason that we are always ready to respond to any call to provide quick and affordable service at any time of day or night. When we arrive on the scene our plumbers will give you a 100% free estimate for the work that is needed without attempting to upsell or pressure you to purchase services or maintenance agreements that you do not need! If you are having problems with your homes toilets, sinks, garbage disposal, dishwasher, or showers don’t hesitate to call Chandlers Plumbing today! If you suspect a significant sewer problem in your home, call 408-449-3443 today for emergency drain service in Los Altos or the surrounding cities: Los Altos Hills, Santa Clara, Saratoga, Campbell, or San Jose! Need Fast & Affordable Drain Cleaning in Los Altos CA? Tree roots growing into an old sewer line is the primary cause of blocked drains. Shrubs and tree roots latch onto underground sewer pipes in an effort to absorb the water that flows inside. As the roots began to grow it can eventually cause the sewer line to break altogether. Often, older sewer lines that were constructed from 1920-1970 are more susceptible to tree root infiltration. Older pipes are made from porous materials such as clay or concrete. These types of sewer lines aren’t watertight which is why tree roots are able to freely thrive in them. Old concrete and clay sewer lines were constructed in sections of threes. As a result, these pipes move around easily when the ground shifts and changes. Since these piping sections are often short, it rearranges itself in a manner that disrupts the normal flow of water to your home’s plumbing infrastructure. If more than one drain is constantly clogged in your home this is an indication that the blockage is occurring from within the sewer line. In this case, seeking professional help is necessary. Multiple blockages often lead to severe black water back up into homes through toilet and shower drain overflow. This can lead to cost repairs and the need for a water damage restoration company to come into your home to clean up and mitigate the sewage damage. To prevent the necessity for this type of clean up, call us today to schedule a quick and easy estimate to clear those sewer line blockages. What Causes Clogged Shower and Tub Drains? If you turn on the water in the shower or tub and find that the water is pooling at your feet this is a sign that the drain is clogged. This can be super frustrating for a household. Check out these top reasons for a blocked shower or tub drain. Believe it or not, hair is often the culprit in blocked shower and tub drains. Each strand of hair that ends up at the bottom of the shower can eventually wrap around the drain over time disrupting the normal flow of water. However, this can be prevented by simply wiping up fallen strands after your shower or protecting the drain with a hair stopper. While it’s impossible for a bar of soap to fit down the drain, a buildup of its remnants will clog the drain. Everytime you bathe soap scum which is a solid white residue leaves deposits on the pipes. In fact, soap scum provides the perfect base for other things like hair and skin cells to attach to which results in one big clog. Chemicals like hair products and bathroom cleaners are packed with materials that aren’t good for the shower and tub drain. When these agents buildup in the sewage system you can expect it to eventually clog the line. Hard water contains all kinds of minerals and micro solids. Hard water deposits will eventually accumulate in and around the drain. Hard water makes it difficult for soap, bathroom cleaners, and other deposits to dissolve properly. The toilet is one of the most used fixtures in your entire home. Therefore, it’s nothing more frustrating when and unpleasant when it gets backed up. Understanding why your toilet backs up in the first place can help you prevent it from happening. An older toilet is constructed with enough pressure to be able to clear the trap of small particles which can result in regular clogging. If your toilet was manufactured in the nineties than it’s likely that you have a low flow toilet. While you don’t have to immediately replace such a toilet it’s best to avoid limiting toilet paper use and other items that are prone to backing up the toilet. When non-flushable items like feminine hygiene products, wipes, cotton balls and other items are flushed down the toilet it will restrict the drainage and it will result in constant backups. Offending products, like tampons and wet wipes, are designed to absorb moisture and expand. It will do just that in your toilet. All plumbing systems are equipped with roof vents which bring in the fresh air and boost the flushing pressure in the toilet. However, over time the vents will become blocked with leaves, nests, and sticks. When this happens, you’ll find that the flushing pressure decreases resulting in regular backups. It can be difficult for a novice to determine whether the toilet vent is blocked. If you are experiencing constant clogging in a particular toilet or multiple toilets in your house is constantly backed up, this can be due to issues within the sewer line. Typically, clogs are the result of an accumulation of waste material, toilet paper builds up and putting non-flushable items in the drain. Yet, sometimes regular backing up is an indication that there is an interruption of the flow of water in the sewage system. Clearly, clogged drains can be a big inconvenience. Often, homeowners resort to using store-bought drain cleaning products to clear blockage but this typically causes more clogging and often times makes the situation worse. If your drain is blocked, let our team at Chandler Plumbing perform a thorough cleaning of your home or businesses’ draining system and restore your plumbing system to a good working condition. We offer around the clock care with emergency services. 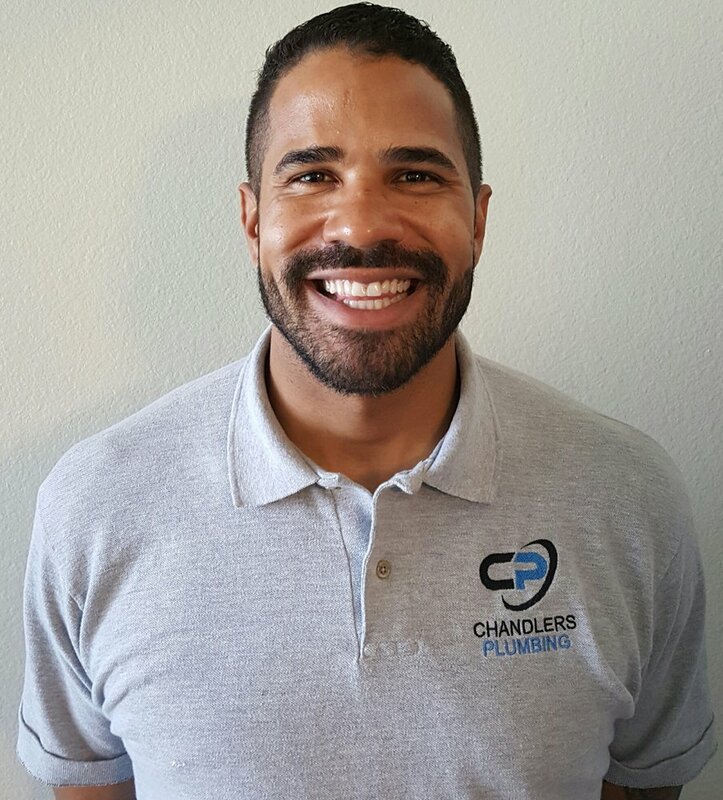 At Chandler Plumbing our plumbers have undergone extensive training and have thousands of hours of in-the-field experience. We are able to troubleshoot all types of plumbing issues ensuring the right problem is fixed when we visit your home. If you’re finding it difficult to determine what is really causing blockage in your pipes, it’s time to seek help from a professional. Schedule an estimate today! We are standing by ready to provide you with top quality drain cleaning in Los Altos today!